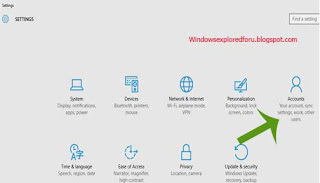 Finger Print Password,Etc on Windows 10..
For that You Need Finger Print reader. . Step 3 : Click on Accounts icon. Step 4 : It Will Open Your Account Window,Click On Sign in Options. 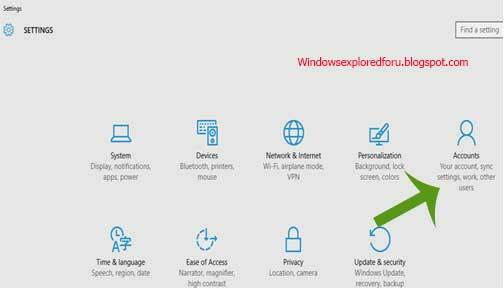 It Will display Picture Password,Pin,etc... Find Windows Hello. Step 5 : Windows Hello Option Will Be on Right Pane. wish to set fingerprint as your password..
"Hope it Will Solve Your Question"
Logesh August 23, 2015 Let me Share my thoughts!